The series of ECMI conferences are devoted to enforcing the interaction between academy and industry, leading to innovations in both fields. These events have attracted leading experts from business, science and academia, and have promoted the application of novel mathematical technologies to industry. 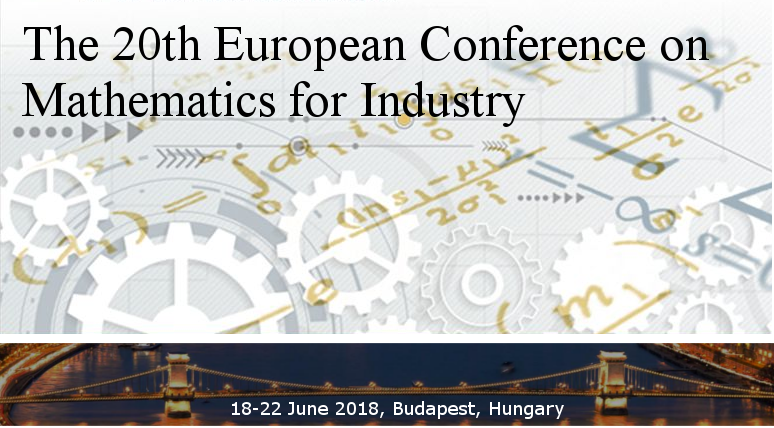 The ECMI 2018, organized among others by the Institute for Computer Science and Control of the Hungarian Academy of Sciences (MTA SZTAKI), is hoped to further enhance multidisciplinary research and development both in academia and industry, leading to the formulation of challenging real-life problems, where mathematics may provide significant new insights and at the same time may be inspired by those interactions. During the conference there will be a special minisymposium EU-MATHS-IN: Success Stories of Mathematical Technologies in Societal Challenges and Industry. We are looking forward that many of our colleagues and friends will come. For further information, please visit the link.